Talkin’ ’bout … my gi-i-irl. MY GIRL! So much good in one little girl is totally not fair to the rest of the world, but let me just tell you all something. I did my time with my first, and this child is all reward. And no, i’m not ashamed to say it! But knowing it wasn’t true. Now, though, I can enjoy and appreciate the simple joy of an easy drop off and pick up with nothing but smiles and excitement. I’m over the moon with appreciation, for the record. And now, I am making a healthy hot dog and goldfish lunch for my kid to continue the good vibes. 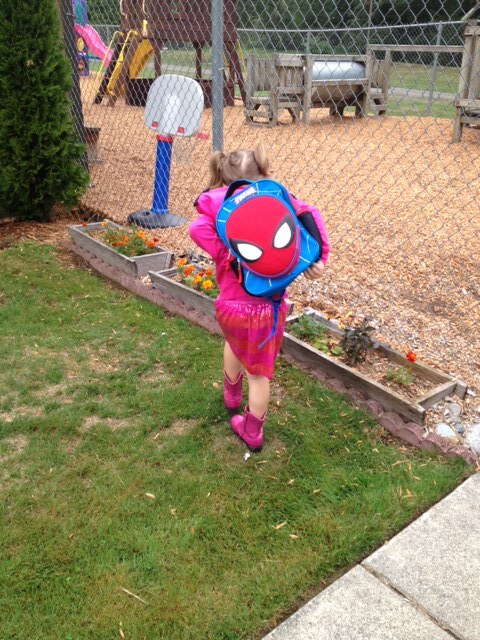 Here is my daughter on day 1 of preschool, complete with sequined skirt (which she tried to wear again today, cowGIRL boots, and spiderman backpack. I don’t know what outfit is complete without the spiderman backpack. What a joy, she is rocking that outfit. The backpack completes it, totally. PreviousI Thought It Was Just Cookies!